(Natural News) Democrats and their propagandists in the “mainstream” media like to claim that POTUS Donald Trump’s tweeting and refutation of every criticism of his presidency is childish and ‘unpresidential,’ but as usual, they are giving one of their own a pass. Democratic Socialist Rep. Alexandria Ocasio-Cortez of New York is proving to be far more sensitive to criticism than the president ever was, though she’s not being called out for her petulance. What’s more, she can’t even admit when she’s wrong. Take her recent inane comments celebrating the demise of a deal to lure e-tail behemoth Amazon to her home state and home city. After Jeff Bezos appeared on the verge of building a second headquarters in an economically depressed outlying section of New York City, he scuttled the deal because it looked like the $3 billion tax break negotiated with Gov. Andrew Cuomo and NYC Mayor Bill De Blasio wasn’t going to be approved after all, despite the estimated $30 billion in revenue that Amazon was going to generate for a state that is currently facing a $2.3 billion budget shortfall for the current fiscal year. Granted, Amazon’s got a record of mistreating some employees and underpaying others. But overall, the company would have provided higher-than-average wages for tens of thousands of New Yorkers who would have been paying some of the country’s highest state income tax rates, more than offsetting the $3 billion break Amazon was getting. And the only way that Ocasio-Cortez’s tweet can be read is that the congresswoman was extremely happy that the deal fell through. But anyone who read it that way is an idiot, according to her. After being widely criticized by New York politicians and not a few conservatives, Ocasio-Cortez lashed out at her detractors in a series of tweets doubling down on her opposition to the Amazon deal and claiming that yes, she does “understand” how tax incentives actually work, The Daily Wire reported. Her defensive tweets were in response to criticism from Erik Engquist, the editor for Crain’s New York Business, who noted that while he normally defends Ocasio-Cortez for her alleged intelligence, her comments regarding New York “invest[ing] those $3 billion” instead of ‘giving’ it to Amazon left him without words. Petulance is no substitute for leadership. 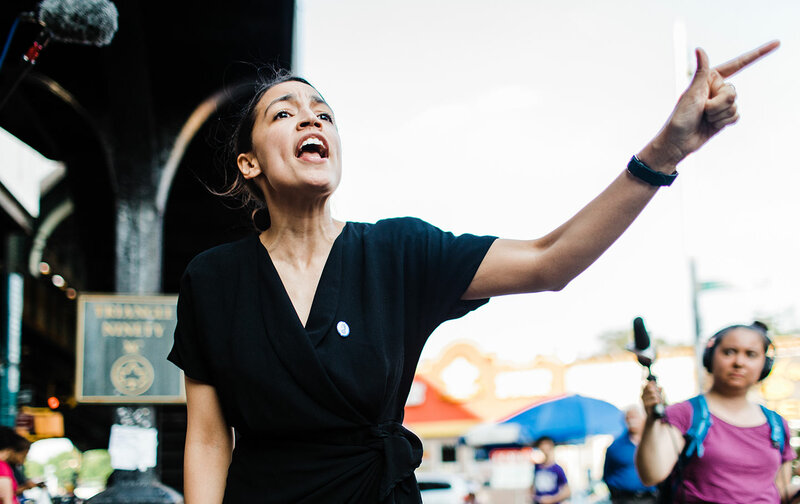 Read more about Ocasio-Cortez’s antics at CortezWatch.com.